In this ten-part series, Debbie Petito and I plan to share with you, based on our experiences, the top ten most common mistakes employers make that can lead to potential employee lawsuits. In Part One of this series, Debbie shared with you common misconceptions employers have about “at will” employment. The frustrated employer calls its employment lawyer complaining about and detailing the continued poor performance of an employee and the countless conversations the supervisor has had with the employee which results in no meaningful improvement. The employer concludes by saying, “Surely I can terminate him.” The attorney requests a copy of the company’s documentation of the history of poor performance. The request is first met by silence and then the exasperated reply that the company had more pressing matters to address than spending time documenting a personnel file with write-ups. This is an all too familiar conversation employment lawyers have with clients. Yes, while documenting poor performance or behavior of an employee is time consuming, it is essential. The failure to document employee problems is often the achilles heel of the employer’s defense against a wrongful termination claim. It allows an employee to deny being previously disciplined for poor performance, leaving the employer in the uncomfortable position of insisting employee’s poor performance is not fabricated and having to explain the failure to document problems serious enough to justify termination. Documenting the Problem: Poor performance, excessive absences or tardiness, insubordination, poor interpersonal skills with coworkers, or other unacceptable employee conduct should be documented in the personnel file. Such documentation typically occurs in one of two ways–either a written warning given to the employee or a verbal warning followed by a memo or note placed in the employee’s personnel file confirming the details of the verbal warning. Serious offenses should always be documented by a written warning to the employee. The employee should be requested to sign the warning notice whereby the employee acknowledges receiving the notice. If the employee refuses to sign an acknowledgement of receiving the notice, the supervisor should note such refusal on the notice, initial and date it. 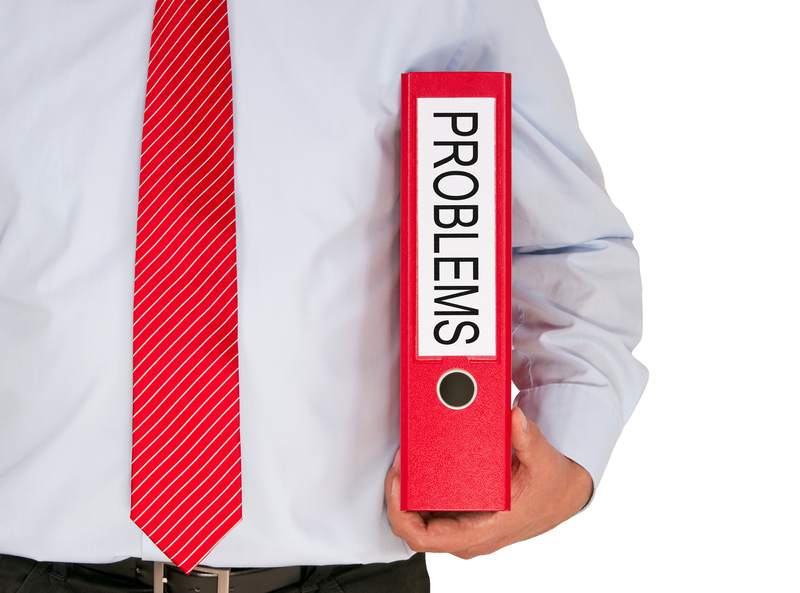 Describe Employee Problems Factually: Documentation of poor performance or employee conduct should be stated in objective terms rather than in a conclusory fashion. For example, if the employee is working too slowly, describe it factually ( e.g., the employee produces X number of units per hour while the average production of others is Y units per hour). A warning notice that the employee “works too slow,” “has a bad attitude,” or is “insubordinate” fails to state what the employee actually did or failed to do. Stick to the observable facts. Do not speculate as to the reason why the employee is not performing or behaving well. Stating a belief that the employee’s recent poor performance may be due to some physical problem or that erratic behavior might be due to some emotional instability exposes the employer to a claim that the termination was a result of disability discrimination. Documenting Complaints of Discrimination, Harassment or Retaliation: Any employee complaint of discrimination, harassment or retaliation must be carefully documented. An employer is legally obligated to conduct a diligent and good faith investigation into any such complaint. Inadequate documentation of a harassment complaint not only leaves the company unable to demonstrate the investigation was done diligently and in good faith, it also prevents it from establishing either there was no harassment or that harassment was discovered and the company took effective remedial action in response. Each step of the investigation and resulting information obtained should be dated and well documented. Documentation of the investigation should include the identity of the person reporting the incident, the date it was reported, details of the improper conduct, the identity of witnesses, information they provided, dates it was provided, conclusions, if any, reached based on the investigation and any remedial action taken by the company. In a fast paced work environment, taking time to document employee problems may appear to be low on a company’s priority list. However, the time spent documenting such issues is inconsequential compared to the time and money required to defend a poorly documented wrongful termination claim, not to mention the increased risk of legal liability due to the inadequacy of evidence to defend. Hope you found the above discussion helpful. In the upcoming posts, Debbie and I plan to share with you additional common mistakes employers make that can lead to litigation. Stay tuned for another conversation on ClarkTalk!! Thank you for joining us on ClarkTalk! We look forward to seeing you again on this forum. Please note that the views expressed in the above blog post do not constitute legal advice and are not intended to substitute the need for an attorney to represent your interests relating to the subject matter covered by the blog. If you wish to consult with the author of this post or another attorney at Clark & Trevithick, please contact Leonard Brazil by email at lbrazil@clarktrev.com or telephonically by calling the author at (213) 629-5700. Previous Entry:Westinghouse in Bankruptcy! Do they owe you money?